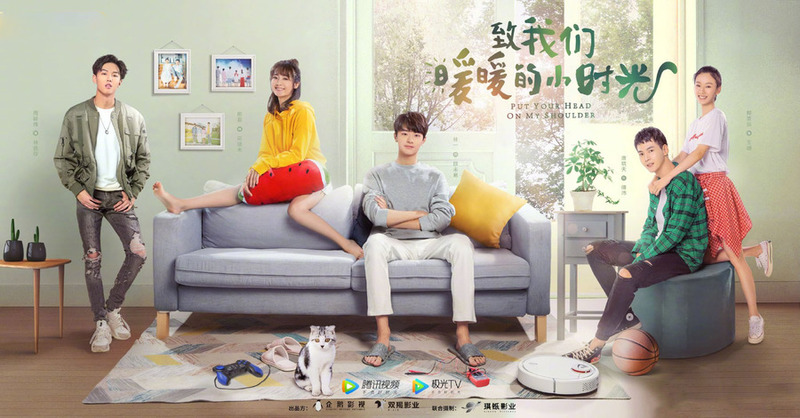 This is the recap of Put Your Head on My Shoulder Chinese Drama Episode 1, Situ Mo finds out her sanitary napkin disappears, Wei Yi wants to explain it. But she treats it as she gave it to him. He says that he doesn’t need it, but she asks him to return it right now. Note: From here on out there are specific plot spoilers for Put Your Head on My Shoulder Chinese Drama Episode 1. Fu Pei calls Situ Mo and tells her that he will pick her up. She runs to him and rides his bicycle. But they hit Wei Yi. Wei Yi asks Situ Mo if she is ok, and finds out her skirt is in the bicycle. He tears up her skirt and leaves. Fu Pei accompanies Situ Mo and waits for the interview. His friend asks him to help him chase the girl, and promises him any equipment. Fu Pei offers to buy her a new skirt, and she tells him to go. Wei Yi is surprised that there is a sanitary napkin in his bag when the classmate borrows pen. He puts the tissue under his desk, and realizes that he took wrong bag. Situ Mo tells the interviewer that she likes advertising, so she asks for the works. But she finds out Situ Mo gave her the game project, and thinks she isn’t intent for the interview. Wei Yi asks the teacher to allow him to attend the exam and reveals he didn’t take his id card. Teacher asks Wei Yi to get out. Fu Pei calls Wei Yi and asks if Situ Mo’s interview is ended. Wei Yi says that his exam is over. Fu Pei arranges Situ Mo and Wei Yi to meet up and exchange their bags. Wei Yi checks his bag and suggests Situ Mo to check her bag as well. She finds out her sanitary napkin disappears, he wants to explain it. But she treats it as she gave it to him. He says that he doesn’t need it, but she asks him to return it right now. Situ Mo sings the beggar song and tells her roommates that she failed in the interview. Wang Shan lectures Situ Mo that she needs a plan. Situ Mo takes out her plan paper, but Wang Shan points out it was the one she forced her to write, and asks her if she completes it. Situ Mo claims she will complete it before graduation. Wang Shan tells Situ Mo not to mess the school interview tomorrow. The woman introduces her company to classmates in the classroom. But the laptop is broken and she asks for the repairman. She takes him to fix the laptop when Wei Yi shows up. He fix it when the repairman arrives. 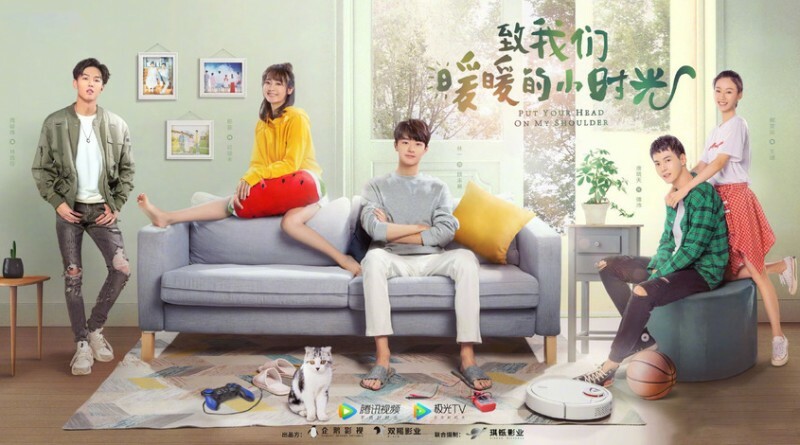 The classmates worship Wei Yi, but he walks to Situ Mo and makes her nervous. He asks her to take the key for him. The teacher asks Wei Yi why he didn’t attend the exam. Wei Yi says that he didn’t take student card. The teacher asks Wei Yi to meet up with Professor Jiang. Wei Yi thinks Teacher wants him to give present to Professor Jiang, and thinks it isn’t fair to other classmates. Fu Pei waits for Situ Mo, and they have meal together. He promises to take duty of her meals, and wants to take care of her. Situ Mo gets a interview message from a company, Fu Pei offers to accompany her. But she says that she doesn’t want to hear the excuse of buying her skirt. He explains that he is familiar with the place. Wei Yi runs into Situ Mo in the mobile shop and asks to change screen for her. But she asks him to beg her. He does it and changes her screen. The salesgirl asks for Wei Yi’s number, but he says that he doesn’t want to work. Situ Mo waits for Fu Pei at the bus stop and calls him. But he is playing basketball at the playground. She messages him and tells him not to come, and gets in the bus. But she gets robbed and her arm hurts. She calls Fu Pei, but Wei Yi picks up the phone. She asks him to tell Fu Pei that she got robbed. Wei Yi finds Situ Mo and tells her that he didn’t find Fu Pei. He takes her to ride the taxi, and asks the driver to drive them to hospital. He takes the tissue to treat her wound, but she is shy when staring at him. She offers to apply some medicine, but he threatens her that she will get amputation. Wei Yi walks to Situ Mo with wheelchair, but she doesn’t want to ride it. He reminds her the consequence of infection, and takes her to see doctor. The doctor thinks they want to show their love since Situ Mo’s skin hurts but she rides the wheelchair. She asks Wei Yi to push away the wheelchair after getting treated. But doctor thinks the source of hospital can be wasted sometimes. Fu Pei arrives and goes to take medicine for Situ Mo. She thinks their frequencies aren’t suitable and doesn’t expect Fu Pei when Wei Yi pushes the wheelchair. Wei Yi gives the tissue to Situ Mo when she is in tears. But she says that she doesn’t cry. He tells her to wipe her sweat.